Freshpints.com: 2016 Great American Beer Festival® Celebrates 35 Years with the Largest Showcase of American Breweries. Ever. 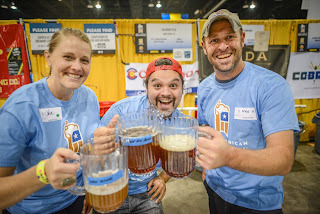 What: For the 35th year in a row, beer lovers will gather in Colorado at the Great American Beer Festival (GABF), the premier beer festival and competition in the U.S. With 379,000 square feet in the tasting hall, an anticipated 60,000 attendees will have the opportunity to sample some 3,800 beers from more than 800 breweries. When: Thursday, October 6: 5:30 p.m. – 10:00 p.m.
Why: GABF has been bringing exceptional brewers and beer lovers together since 1982. Evolving with the booming craft beer industry and keeping up with Americans’ desire to tap into indie beer, GABF is now the single largest ticketed beer festival and event with the biggest selection of beers in the U.S. Attendees have an opportunity to try a varied assortment of beers from all corners of the country and experience the eclectic U.S. beer community. Coupled with a private competition and awards ceremony, the overall event showcases the U.S. as the greatest and most diverse brewing destination on the planet. A ticket pre-sale exclusively for members of the American Homebrewers Association and Brewers Association will take place on August 2 at 10:00 a.m. MDT/12:00 p.m. EDT. 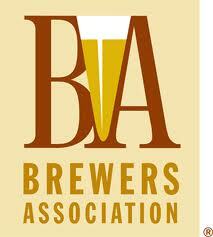 You must purchase a membership to the American Homebrewers Association or Brewers Association by July 24, 11:59 p.m. PDT, to be eligible for the member pre-sale. Note to Editors: Please visit the following links for event b-roll footage and photos. Craft Beer and Business: Dive deeper into the growth of craft beer and beer culture in America. According to data recently released by the Brewers Association, the number of operating breweries in the U.S. is at an all-time high of more than 4,600 breweries, 99% of which are indie breweries. At GABF, discover the economic impact these small and independent brewers are having on our country, what’s next for the thriving industry and more. Beer and Food: What’s better than a good beer? A delicious bite to pair. Embracing the growing popularity of beer and food pairings, Paired, formerly known as the Farm to Table Pavilion, provides an intimate setting to indulge attendees’ senses. Paired will feature 21 of the most renowned chefs from around the country, possessing accolades ranging from Food and Wine, Bon Appetit, James Beard Foundation and more, who will personally plate their dishes for guests and discuss the dynamic pairings. Exclusive craft beers served in Paired are available only in this pavilion and not in the festival hall. As in previous years, a separate ticket ($145) is required for entrance. Paired tickets are available exclusively to members of the American Homebrewers Association and the Brewers Association and as such, can only be purchased during the members only sale on August 2. 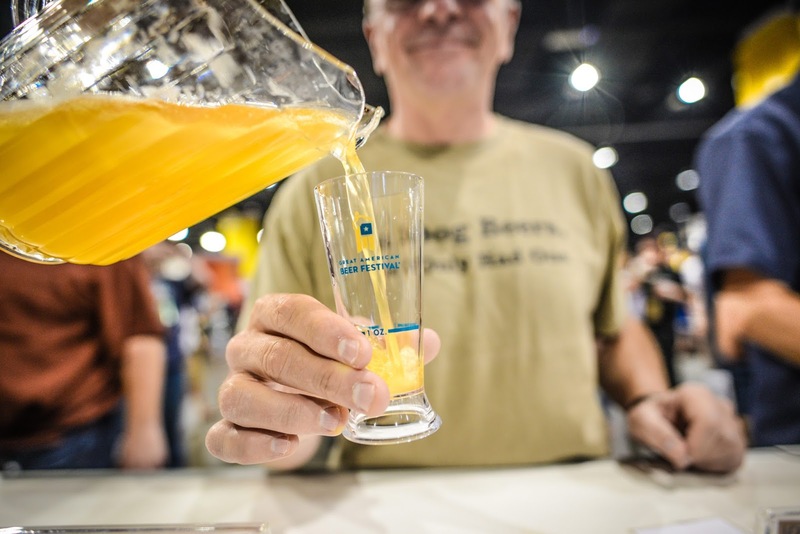 2016 Sponsors: GABF is made possible by the support of generous sponsors. Social Media: Follow @GABF on Twitter, hashtag #GABF and #TGIGABF; Like GABF on Facebook; and follow @greatamericanbeerfestival on Instagram.